Is it me or are Revolution Makeup bringing out some banging makeup lately? I honestly can't keep up with all the amazing collections they keep bringing out left right and centre. Following on from my last purchase from Revolution which was the amazing fast base stick foundation I thought it was about time I tried something else from their new range to give a try. 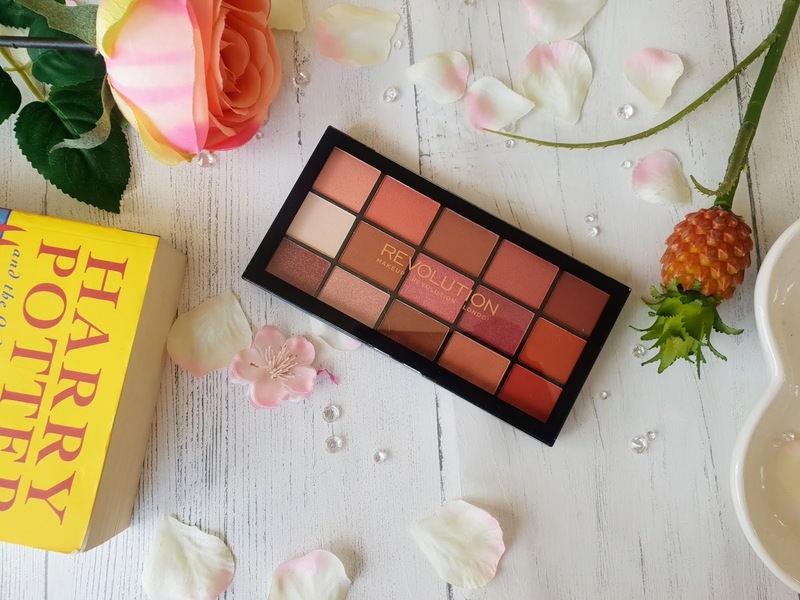 Revolution has brought out a fair amount of new palettes lately including a palette I want to try out next called 'Revolution X Soph Extra Spice'. 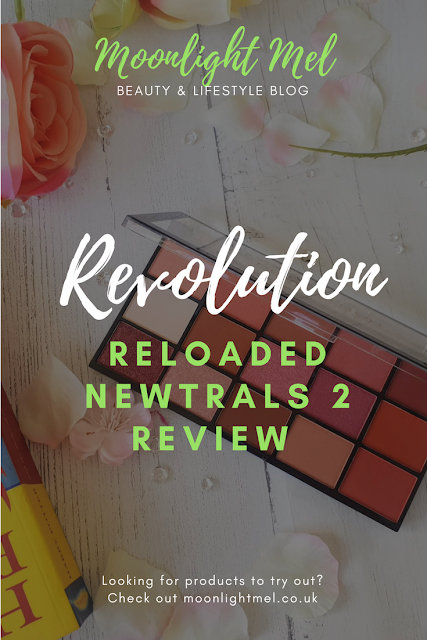 Anyways onto today's post which is about the fabulous Reloaded Newtrals 2 palette. I have a fair amount of eyeshadow palettes but they are all unique in their own way but I have never had a palette that has such vibrant rustic reds and burst oranges inside. 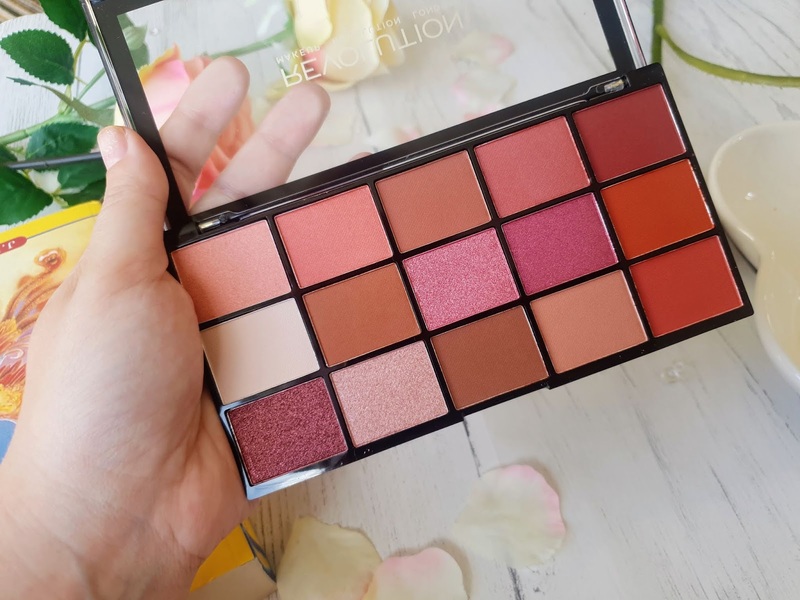 The nearest thing I have is the urban decay heat palette which is more of a matte palette and nowhere near as shimmery looking and is more orange while this palette is redder and burgundy. 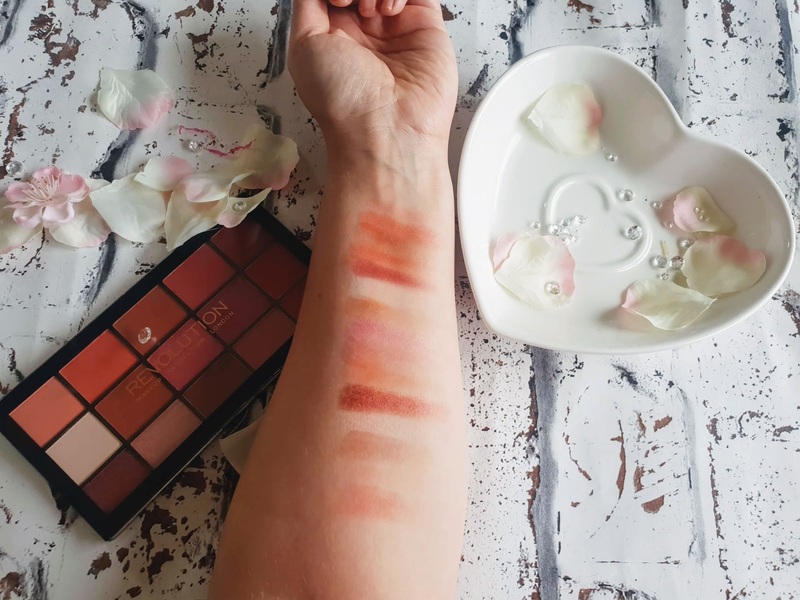 I am a bit of eyeshadow snob because I usually like the higher end product because they are usually are more versatile and much easier to blend but Revolution Beauty changed my mind completely and converted me to using more budget-friendly options. Reloaded Newtrals 2 is a gorgeous palette with 15 different shades that are warm oranges, reds and corals. They come in a variety of textures including matte and shimmery finishes and my goodness some of them are so creamy and smooth that they feel like a premium product, trust me Revolution Beauty know what they are doing while saving you money at the same time. Applying this shadow was a dream that I was gawping half of the time because of how surprised how pigmented it is and also how easy it is to blend. The shades blend perfectly together and the pigmentation is so intense that they no way you would think it was a £4 palette. The shadows are so versatile ( like me 😜 ) that they can be usually used for day or night time look. I love wearing an OTT makeup look so this palette is just perfect for me. The swatches look ok but they apply so much nicer to your eyes than they do as a swatch and this swatch above was rushed so yeah definitely a better product for eyes than swatching. The eyeshadows themselves look stunning and I can't fault any of them because they all look gorgeous but the thing that I am a little bit meh on is the actual packaging. When you buy it all you get is the packaging and tape of the sides to keep the product shut. Now I would complain if this was a £10 plus product but since you get 15 amazing quality shadows I am not going to let that get in the way of me using and loving this palette. Talking about how long they last.. they shooook me for how long they last. Usually, eyeshadows go dull after long wear but these are just heroes of the beauty world because of the last and look amazing all day and night long. Creulty free, Vegan and Gluten Free. 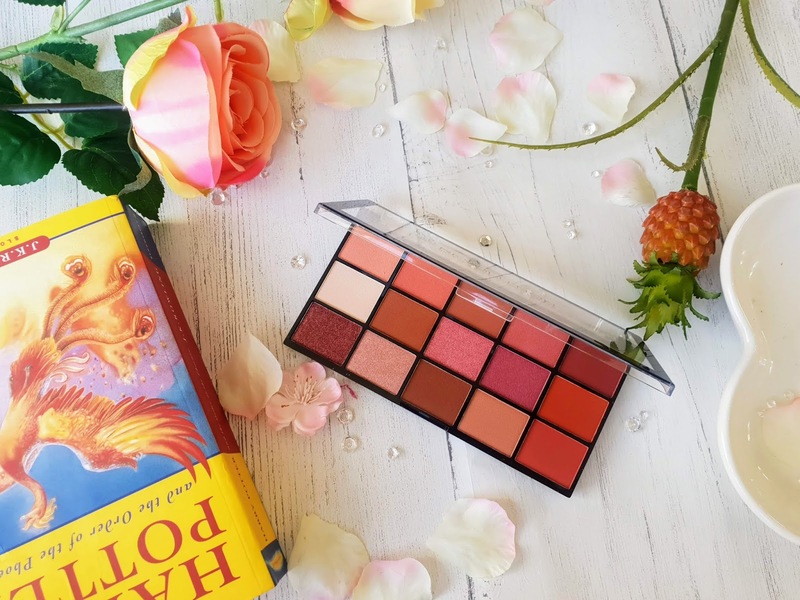 I think this palette is just stunning and for £4 you can't really go wrong, can you? It gives amazing results whether it be a day or night look and its lasting power is up against the more expensive eyeshadows as long as it's combined up with an eyeshadow primer. I really can't wait to try out more revolution makeup now... I think I am slightly addicted to the brand now seeing as they have sooo many new and exciting products. Check out swatches and a makeup look I created with this palette on my youtube video below. I would be super grateful if you could subscribe to my channel too. Which palette do you like using at the moment? Great Post, and photos but as I was reading it I was thinking "yeah but it does look a bit cheap, I wonder how long the lid will last? etc.." and then i read £4.00 !!!!! you can't go wrong for that can you? Amazing value. I like how you added the pros and cons for this product. 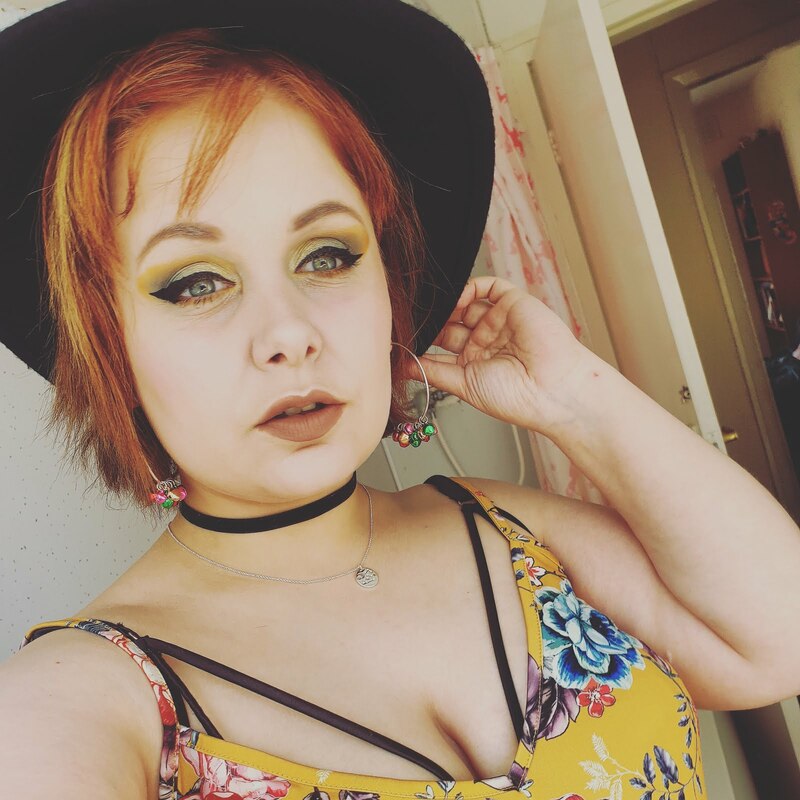 I dont mind there is no mirror as I usually do the makeup at home and I have huge mirrow. I like how it is affordable and have 15 shades. That is such a cheap palette! I see that the pros outweigh the cons, so that would be enough for me! I like the bold colors in this pallette but don't like the fact that it doesn't come with an applicator. I wouldn't wear them myself but my daughters would be able to. This palette is so pretty! I love more earthy, neutral tones, and this has that plus just the right amount of color to pop. This is my first time ever hearing of the cosmetic line Revolution but it looks to me like these colors are just amazing. I definitely need to check it out. I tend to go for shades of brown and purple but these shades would look amazing on my granddaughter with her coloring. I love anything that's both affordable and functional. It makes for a great product in my eyes. Hmm. I am not so sure if I would try this but it's affordable and I like the shades. The packaging does looks cheap tho. I love the colours in this pallet. Not having an applicator isn't a huge deal with me as I have my own brush set. But it would be great if they added a mirror! These shades are so pretty! It's a great palatte of color and very affordable. I've never heard of this brand before. Thank you for sharing what a pretty pallet! That price definitely makes it affordable for anyone! Ty for taking time out to list the pros and cons!!! I love the colours! and the price is really good I think I will try it!